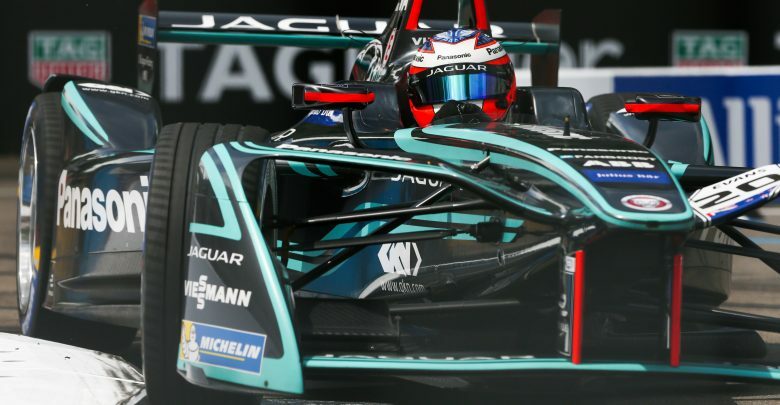 New York City E-Prix – Mitch Evans was fastest for Jaguar in an error-filled second practice ahead of the Formula E New York finale. Evans did a lap time of 1:13.207, but did not have a purple sector time on his best lap. He was 0.387 seconds ahead of Dragon’s Jerome D’Ambrosio, and 0.420 seconds clear of title contender Sam Bird, who ended the session with a spin in the new Dock Loop section. In the second half of the session several drivers set purple sectors but failed to put the lap together. Tom Dillmann, standing in for Edoardo Mortara who is racing in DTM this weekend at Venturi, was fastest in the first sector but made a mistake in the final sector. Oliver Turvey was about to go top for NIO when he crashed at the final corner, losing the rear end of the car and hitting the barriers. Nelson Piquet Jr. was another driver to go off at that corner, but the inaugural Formula E champion just managed to stop the car before hitting the barriers. 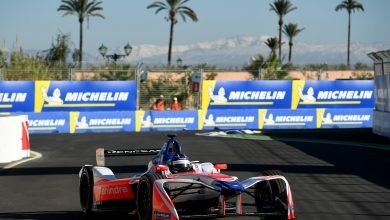 Jose Maria Lopez was fourth for Dragon ahead of 2015/16 champion Sebastien Buemi, who led the session after the first runs had been completed. 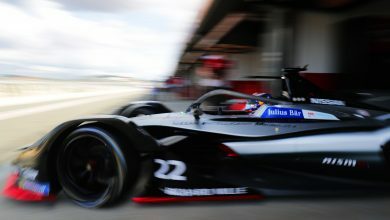 He did not improved his time of a 1:13.712 in his next lap, and ended the session 0.023 seconds ahead of his Renault e.dams team-mate Nico Prost. 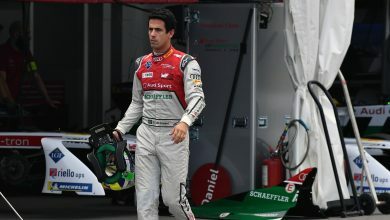 Antonio Felix da Costa was seventh for Andretti ahead of Turvey, and the two Audis of Daniel Abt and FP1 pacesetter Lucas di Grassi, who damaged his left-rear suspension after hitting the barriers on the exit of Turn 2. A battery change on his other car meant he was delayed in getting out for a second run. Championship leader Jean-Eric Vergne was 14th fastest. 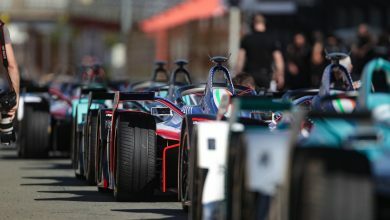 He too had a moment at the final corner, with his Techeetah team-mate Andre Lotterer also facing the TecPro barriers at Turn 2 after a lock-up. He was 11th fastest in the session. Stephane Sarrazin started the session with a spin at Turn 8, damaging his rear wing against the barriers. He ended the session in 16th. The two Mahindras of Nick Heidfeld and Felix Rosenqvist were 18th and 20th respectively. Click here to see the full results of the session.